This week brought about a plethora of talking points. 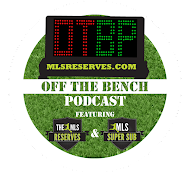 The new Designated Player rules for 2012 and what that might mean for the league’s future, the impending arrival of Robbie Keane and of course what that means for Juan Pablo Angel. Both the Sounders and the Galaxy made statements in the CONCACAF Champion’s League as well. With plenty to look at, let’s get started. The rule is an excellent step in the right direction for Major League Soccer. With the new rules in place more teams will be willing to spend money on younger players which will have a myriad of benefits. First off the image of the league will become less that of a retirement league for European stars and more a mainstream one (over time). Secondly, younger players will bring vibrancies and energy to the game that isn’t always present in the league. 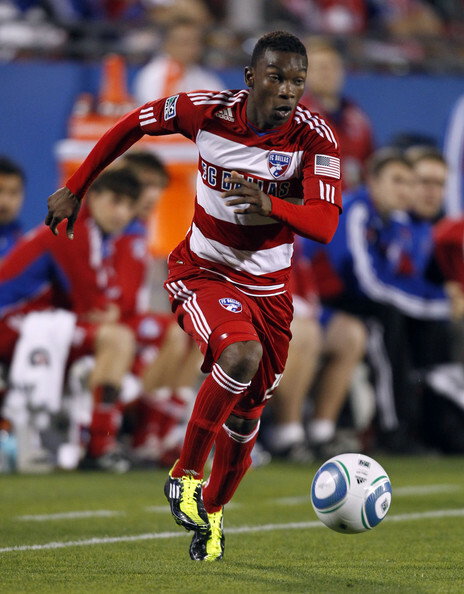 Considering that next year the rule might apply to players like Freddy Adu or already DP Fabian Castillo, money can be freed up to bring even more talents to their respective teams. Count this new rule as a win. It’ll be interesting to see what may come of it. 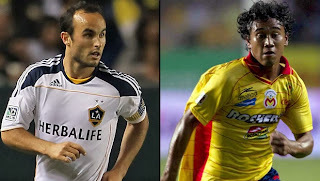 Robbie Keane and Juan Pablo Angel: Robbie Keane’s signing to the Los Angeles Galaxy is one that boosts the number one team into the realm of Superclub. The elite goal scorer is a legend in the English Premier League and a star for Ireland. Keane brings with him the experience of scoring at the highest level, something the Galaxy have struggled with. Typically LA’s goals come from the midfield or set pieces. Scoring from the run of play as been a serious challenge for the team. Juan Pablo Angel, DP on the way out. Keane is arriving under a Designated Player contract which forces LA to offload one of their DP’s from the roster. David Beckham and Landon Donovan are going nowhere, which leaves only Juan Pablo Angel who is now on the chopping block. Multiple reports had Angel leaving for Chivas USA while Philadelphia Union goalkeeper Mondragon certainly caused an uproar with his tweets about JPA and the Union. Angel is a family man and Chivas USA was likely always the frontrunner. Angel’s family only arrived in LA a few months ago and a move back across the country would have been hard on him. Despite that, it was exciting to think about Le Toux, Freddy Adu and JPA leading the attack for Philadelphia. Juan Pablo Angel has struggled to put the ball in the back of the net in recent years, battling injuries and poor form. This move is likely his last before he retires. Personally, I’d like to see him stay in the league in some coaching capacity or perhaps even front office. There is a wealth of soccer knowledge there and it’d be a loss if MLS didn’t hold on to it. CONCACAF Champions League: Both the Seattle Sounders and the LA Galaxy secured home wins in the CCL last night. Seattle despite being down a man for a great deal of the match, won 4-1. The Galaxy dispatched an Amado Guevara led Motagua 2-0 in an impressive team performance (and a brilliant Landon Donovan goal). Both teams used the majority of their starters and sent a statement to the league, fans and other teams in the tournament: we care about this competition. It was a pleasure to see some of the heavy hitters in MLS truly care about the tournament. This not only raises the profile of MLS in a positive light, but helps the growth of the league when discussing recruitment. Thank Real Salt Lake for setting the bar last year. Highlights here. Bottom line, the league made fantastic strides forward this week.